Help keep Slow Roll Buffalo free for all! The Boombot REX wireless speaker can crank up to 95 decibels with full range speakers & a bass woofer. 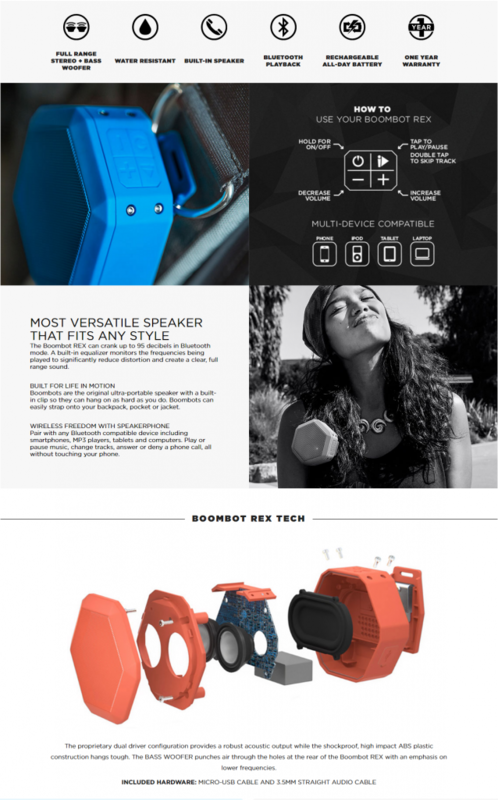 The Boombot REX is an evolved ultra-portable speaker with revolutionary acoustics and modern industrial design. Featuring a noise-canceling microphone and a built-in clip, this versatile speaker allows you to stay connected with your friends and your music while keeping your phone safely in your pocket.